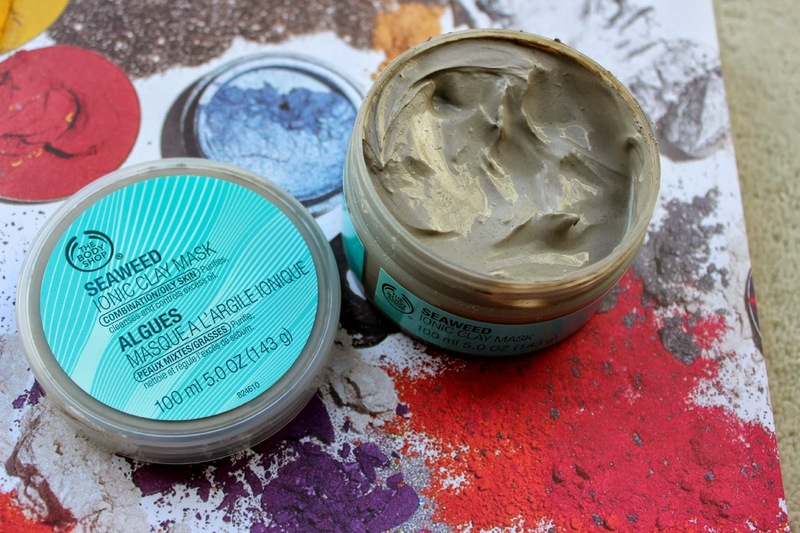 I’ve said it a numerous amount of times on my blog but face masks really do excite me the most when it comes to skin care and I have tried a lot over the years. As I said I do suffer from skin which alternates between combination and oily and I do struggle to find products which help to combat that. This mask has already become a part of my skin care routine and I have been using it once to twice a week. It’s not too dissimilar from your average clay mask which all help to draw out impurities from the skin and to clarify your skin. It doesn’t state how long to leave it on for but it’s a good indication to wash it off when you can no longer crack a facial expression! After using the mask my skin has actually felt quite sore but after lathering some face cream on after it quickly subsides and it gives my face a really clean and dry base to work from. Even with just using this on the day and an average face cream I found that it helped to keep my face relatively oil free throughout the day. I definitely think this would be too drying for my skin to use more than once a week though and it is definitely targetted at the right skin types as it would be far too drying for someone with dry/sensitive skin. However, once we finally arrive into the summer it might be more of a fixture in my weekly skincare routine to help banish excess oils. It is slightly pricier than some of your high street face masks but it’s a massive tub and with only using a small amount once a week it’s going to last a long time! With problematic skin I am very much one of those people that finds something that works and sticks with it, and this really is through fear of making my skin worse or my acne returning, but I really do need to be more open about testing things out as I have been missing out on some wonderful products. Simple skincare is the moisturiser that I have been using daily and which I do sometimes find too greasy for my skin. I was intrigued to try this one out which is targetted for my skin type and which states to both hydrate and control excess oils and which also has SPF15 inside, surely this is too good to be true?! I expected a very heavy formula which would be greasy as that’s usually what facial creams with an SPF do BUT I couldn’t have been more wrong. I have been using this daily for 3 weeks now just in the morning before I apply my makeup. 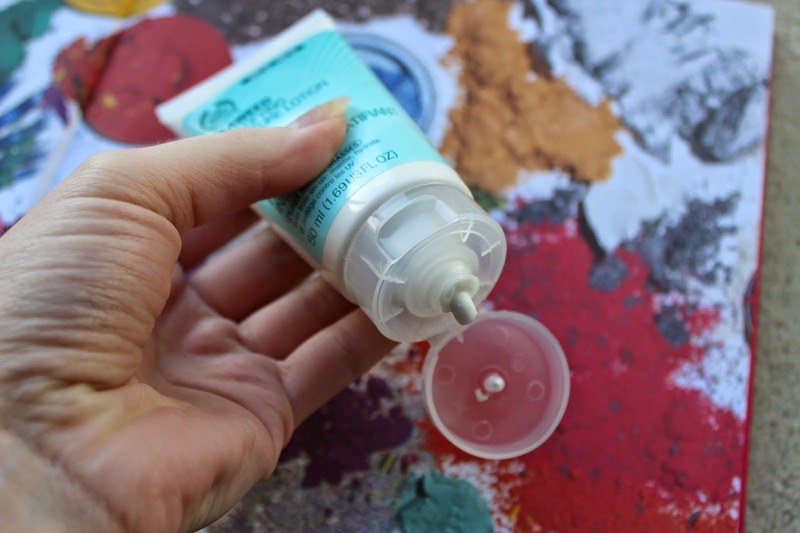 For a mattifying formula it is incredibly moisturising, it feels thicker than your average cream but quickly sinks in and it is in no way greasy. My makeup has been going on better than ever, I have had no nasty reactions to it and it has considerably helped with controlling the excess oil on my skin and the fact that it has an inbuilt SPF means that I am prepared for any winter sun.. and the long search for a non greasy facial SPF has been found for the summer! I am so thankful for being introduced to The Body Shop Seaweed skin care range and these two products are now permanent fixtures in my life. My skin really does seem to have reaped the benefits of using something which helps to combat that excess oil, as my spots do seem to have improved, for now anyway (*touches wood*). There are 6 other products in this range too which I am very temped to try out next, maybe the Seaweed night treatment or the Seaweed pore perfector, my list could go on! 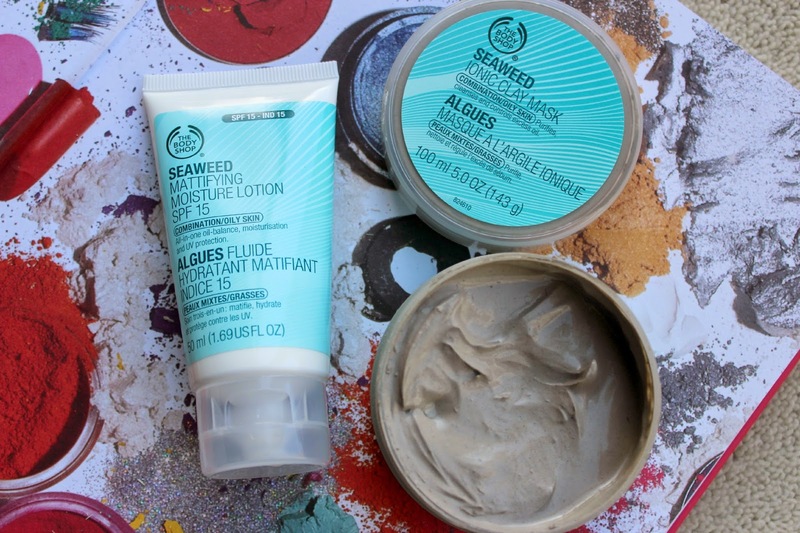 Have you tried any products from the Body Shop Seaweed range? What are your favourite Body Shop products? What products do you use to combat combination/oily skin? Previous Post Lush Cosmetics haul!